Shirley Temple warmed our hearts. As a little girl she had the "it" factor which made her very successful in the world of television. The pout on her bottom lip gave her a sense of innocence. The strong, stubborn characters that she played allowed me to connect with her right away. As a child in the 70's I watched her movies. Not knowing at the time that when I was born she was already 45 years old. But as a little girl I watched her movies thinking that I wanted to be just like her! All I wanted was to be like her. And really, at the time, had no idea that she was a grown woman. 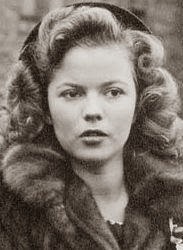 Shirley Temple's movies came out in the 30's. The vivacious and talented little girl cheered up people all around the world during the Great Depression. She starred in Bright Eyes and Captain January. 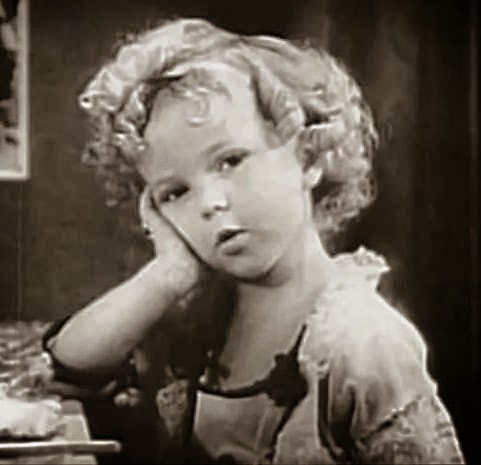 And my favorite was her rendition of "The Good Ship Lollipop" in 1934's Bright Eyes which earned her a special Academy Award for "Outstanding Personality of 1934." She continued to take on some acting roles as an adult only to move onto politics. It was in 1967 that she ran for a U.S. congressional seat. From 1969 - 1970 she served as U.S. ambassador to the United Nations. From there she was appointed as the ambassador to Ghana in 1974. In 1976 she became chief of protocol of the United States. And that was the time that I started to watch her films. I as a little girl not realizing that this talented little girl was a girl of power and influence. Much like she was in her movies. In 2005, she received a Lifetime Achievement Award from the Screen Actors Guild. She died on February 10, 2014, at age 85, in California. Rest In Peace Shirley Temple Black. Biography has an amazing write up about this beautiful, strong woman HERE.